Suzuki is all set to launch the Burgman Street 125 in India tomorrow. This will be the second maxi scooter to be launched in India after the Kinetic Blaze. Here is what we expect from the new 125 cc Suzuki scooter. Suzuki is ready to launch the Burgman Street 125 scooter in India tomorrow. This will be the second 125 cc scooter from Suzuki in India after the Access 125. Plus, the 125 cc scooter segment in India is picking up like anything. 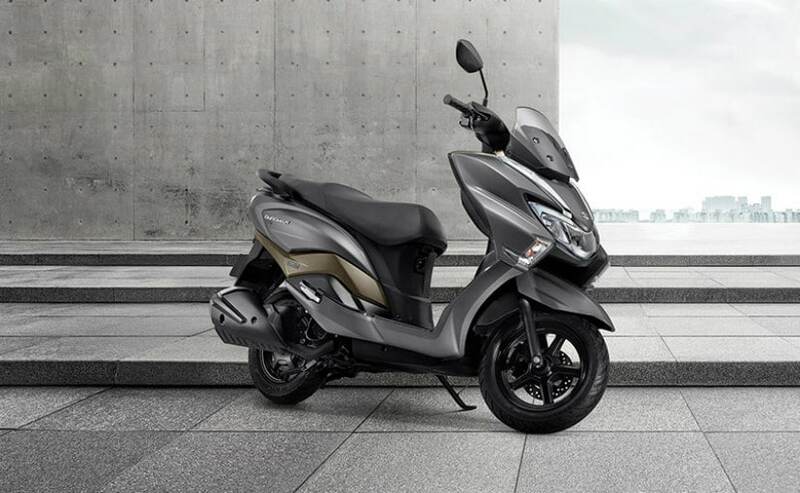 Therefore, expectations are high from the Suzuki Burgman Street. What the Suzuki Burgman Street will offer is a 125 cc scooter with a design unlike any other scooter available on sale in the market today. It borrows its design from the bigger Burgman siblings which are sold internationally. The Suzuki Burgman 125 uses the same engine as the one on the Access 125. It is a 124 cc single-cylinder engine which makes 8.7 bhp at 6,500 rpm and 10.2 Nm of peak torque at 5,000 rpm. The scooter will of course have a continuous variable transmission unit. The engine is expected to have a fuel efficiency of around 38-40 kmpl. The scooter also gets a disc brake up front along with combi brakes as a part of the standard equipment. The instrument cluster too has been used from the Suzuki Gixxer. The company has already started taking bookings for the Burgman for a token amount of ₹ 5,000 across dealerships in India. The scooter was spotted on Indian roads recently, as the company was shooting a TV commercial. The Suzuki Burgman Street will be going up against the likes of the Honda Grazia along with the TVS NTorq and the Aprilia SR 125 as well.